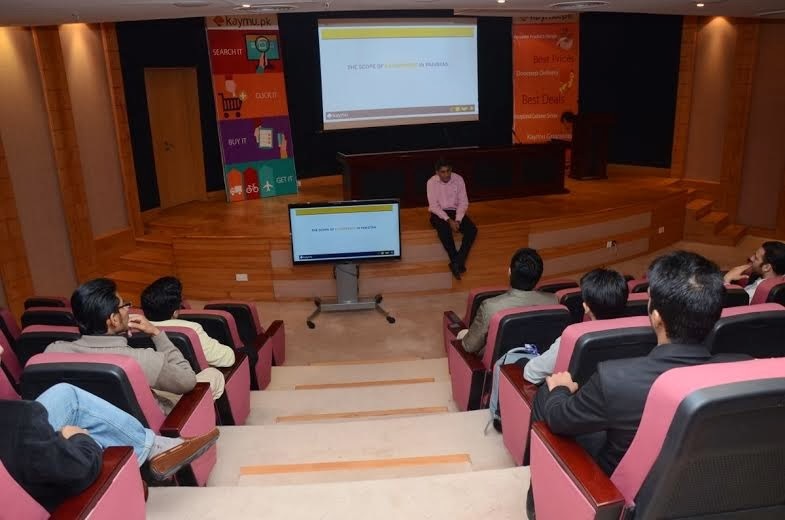 Kaymu, a Pakistani online marketplace, recently held a special media event to celebrate their first year in Pakistan. The guest list included students from Information Technology University, leading journalists, and young professionals. The event was kicked off by Mr Ahmed Khan, MD Asia of Kaymu who gave an introduction of Rocket Internet the group behind Kaymu.pk. Subsequently, he gave a presentation on Kaymu which highlighted a history of the brand as well as the growth of the website in Pakistan in the past one year. In August the website had started with 2,109 orders per month and as of February ’14 it has grown up to 16,175 orders per month, showing the massive growth of the website, 8 times in just a few months. Mr. Khan also had an interactive session with guests who asked him various questions regarding the website and his opinion on the growth of e-commerce in Pakistan in general. “e-commerce is not the future, but the present of shopping in Pakistan”. Kaymu.pk has been one of the major websites which has helped online shopping evolve in Pakistan. With almost every lifestyle product available through the website at unmatchable rates and a quality delivery service, Kaymu.pk has made online shopping a whole new experience for Pakistanis.